If you use food science to guide your diet and health, are eggs going to be on your plate? The consumer pendulum has swung widely with an average of 400 eggs per person per year in 1945 that dropped to 229 in view of concerns over dietary cholesterol and heart disease. The current numbers show that annual egg consumption has climbed back to 279 or 5–6 eggs a week. A study made headlines this week indicating that egg consumption was associated with the risk of developing heart disease. Let’s take a look. Four university centers pooled data from 6 prospective studies in the USA and followed patients for 17.5 years.This analysis included 29 615 participants (mean age, 5r years at baseline) of whom 13,299 (44%) were men. There were 5,400 incident CVD events and 6,132 all-cause deaths. Each additional 300 mg of dietary cholesterol consumed per day was significantly associated with higher risk of incident CVD (adjusted HR, 1.17) or a 17% relative increase and all-cause mortality (adjusted HR, 1.18]) or an 18% relative increase. Each additional half an egg consumed per day was significantly associated with higher risk of incident CVD (adjusted HR, 1.06) and all-cause mortality (adjusted HR, 1.08 ). The researchers concluded that among US adults, higher consumption of dietary cholesterol or eggs was significantly associated with higher risk of incident CVD and all-cause mortality in a dose-response manner. These results should be considered in the development of dietary guidelines and updates. Researchers in Australia enrolled 128 subjects with prediabetes or type 2 diabetes as part of a weight loss study and randomized them to <2 eggs/week or >12 eggs/week. The end points were lab values for cardiac markers like glucose control, cholesterol, inflammation, and oxidative stress. At the end of the 9 months, there were no differences in the lab markers. 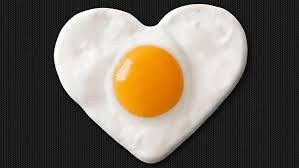 Headlines like “eggs are safe for diabetics and heart health” were found in news feeds worldwide. What was not mentioned in most of the news reports was the funding of the study by the Australian Egg Corporation and authors had received research grants from the Egg Nutrition Council. Also overlooked was the study design wherein those subjects assigned to the low egg group were instructed to increase their protein by more meat, chicken, fish, dairy, and legumes. Researchers in Korea conducted a prospective cohort study of 9,248 Korean adults without cardiovascular diseases (CVD) or cancer at baseline and followed them for 7.3 years. During follow up, 570 cases of CVD were diagnosed. In the group with type 2 diabetes the consumption of 4 eggs/week vs none increased the risk of developing CVD by 2.8 times (280% increase). This assocation was not found in those without diabetes. A pooled study found that increased egg intake — along with red meat — was associated with a 14-percent increase in advanced and fatal prostate cancers. Trimethylamine N-oxide (TMAO) is a molecule that causes cardiovascular and kidney disease and is related to the ingestion of certain foods. For example, in a research study, eating eggs increased TMAO in the blood significantly. What will you do the next time you are at a café and the choice is oatmeal or fried eggs? A fruit plate or a frittata? As a medical doctor, if you are diagnosed with type 2 diabetes, I would reach for the plant option not the ovum. In addition, if you have ovaries, a colon, a prostate, breasts, a pancreas, a heart, arteries, or a pulse, think long and hard about the wealth of data that says the best egg meal is the one you skip over.